Taking notes while paying full attention in class can be challenging. 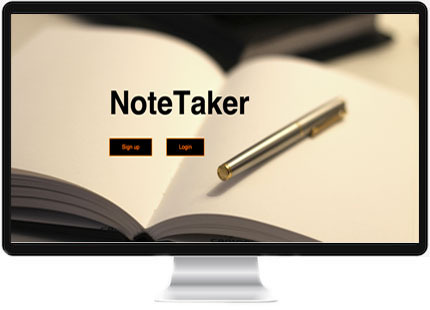 NoteTaker is an app where a student can record a lecture, and write down notes simultaneously. Once the lecture is played back, the student can click on the notes they wrote, and track when they wrote them during the lecture. A student can also turn on the speech-to-text editor where it converts the lecturer's speech and saves it as text in the student's personal page. 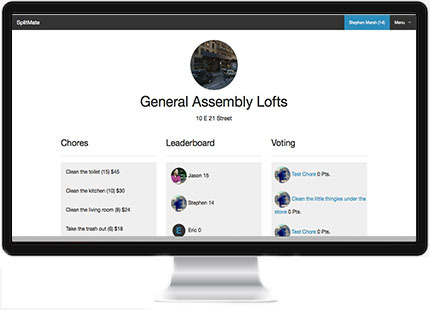 An app that gamifies splitting chores among roommates. Roommates can assign chores to themself, or get auto-assigned based off of their chores' history. Every chore completed earns points. Roommates can use points to delegate chores to other roommates. If a chore is incompleted before the deadline, the roommate has to pay a penalty fee. Also, every chore gets voted by roommates. If the majority agrees or disagrees with the completed chore then that roommate gets rewarded or penalized for that chore. Using Echnonest API, the dots appear as the beat of the music plays. The dots play with the most dominant beat, and size of the dot varies based off of the beat's loudness. 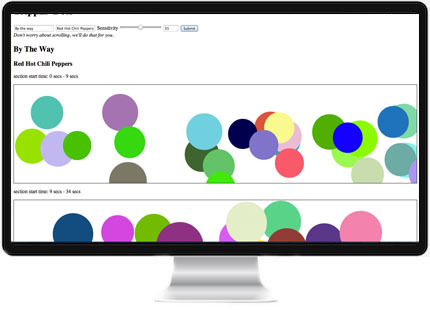 The dots get played in sections - with each section being automatically scrolled. For a true demonstration, select By The Way from Red Hot Chilli Peppers. Manufacturers post a pair of jeans, with an item limit of 2000 pairs. That means that the jeans won't be shipped until all 2000 pairs are pre-sold. 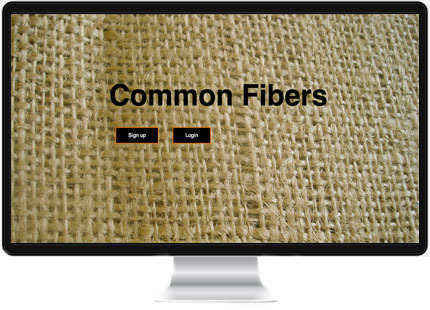 Customers can buy the jeans at a low price, and will get notified once all the jeans are bought. The pair of jeans that the customer pre-ordered will now be shipped to them. Technologies: Ruby on Rails, PostgreSQL, CSS, and Action Mailer.